Who would you consider biggest competition over your four years? 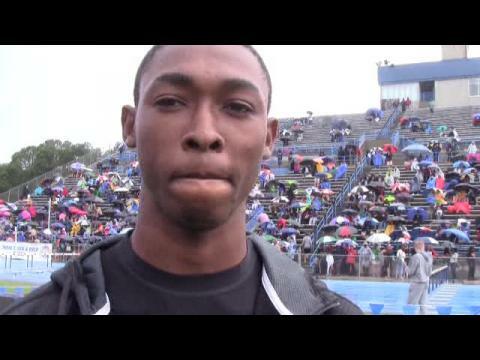 My biggest competition was Roderick Proctor from Doctor Phillips High School. 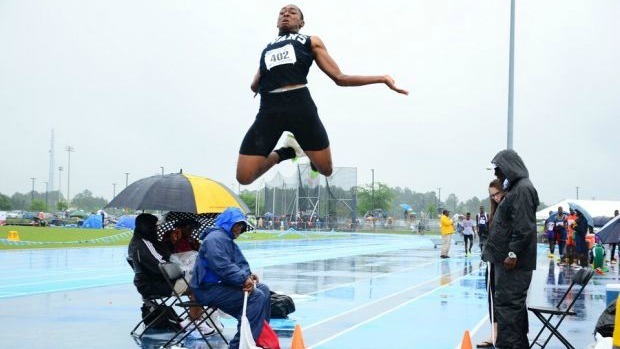 My biggest accomplishment was winning both the long Jump and triple jump at the 4A Track and Field State Championship. If you could do it all over again what you change about your running career in high school? I would try to avoid injuries my sophmore and junior year. What was the most difficult obstacles you had to overcome? I will miss my teammates and the coaching staff. To be the best at everything thing you do, on the track and in the classroom. I plan to attend South Plains College in Texas. I would like to thank my coaches and teammates for cheering me on throughout the whole entire season. 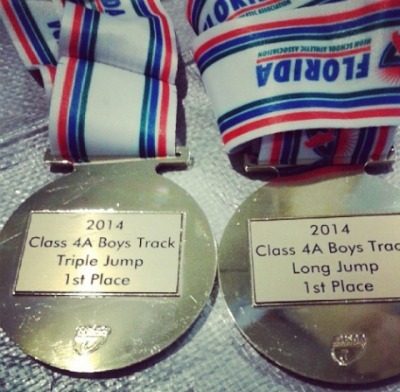 Do you know a class of 2014 track and field or cross country athlete? We'd like to salute them! Have them answer the following questions plus send 2-3 photos (can not be from another website or publication) to Todd.Grasley@flocasts.com.